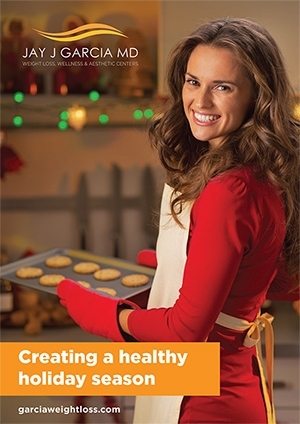 Download our free Healthy Holidays e-book! Trying to lose weight — or even just maintain your weight — throughout the holiday season can be tough, especially when it seems as if temptation is around every corner. Whether you're working towards losing weight or simply trying to stick to a healthy diet, it is possible to get through the holiday season without jeopardizing your health or packing on the pounds. In fact, by following the tips outlined in this e-book, you may even be able to continue losing weight successfully while still enjoying the holiday season. Plus, you'll get healthier alternatives to some of your favorite holiday foods, including dinner rolls, mashed potatoes, stuffing, and even guilt-free holiday desserts!